The polished aluminum curves are already provided to allow a simple connection with the silicone hoses. With this an air inlet is easy to build. 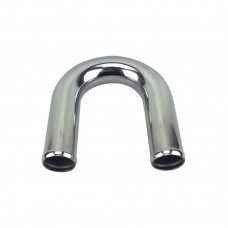 Elbows are also very suitable for welding with wall thickness of 1.5 mm. Please note that we offer a relatively strong wall thickness. Many competitors use thin aluminum. These could not withstand the general pressure of the pressure!